My first reaction is to laugh hysterically. Andrew Lippi, how are you buying private islands, yet, you’re out here swindling K-Mart? Now you’re looking at grand theft charges. And speaking of K-Mart, how many of these are still around? I was a Target shopper growing up. 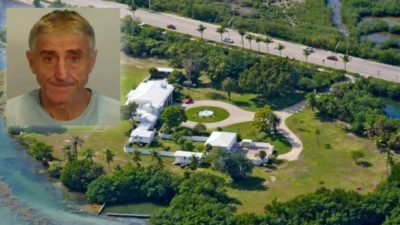 A man who recently bought a private-island estate for $8 million was arrested Friday after police said he stole about $300 worth of household items from a Key West Kmart. Andrew got greedy, and that’s a serious character flaw.